Saturdayd is Tryon Life Community Farm's annual Apple Festival. It's a fundraiser for the farm's education programs. 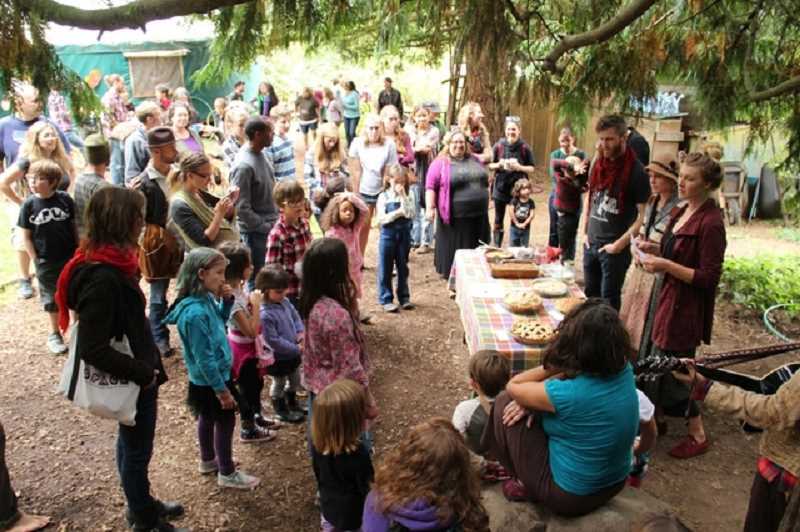 Tryon Life Community Farm will hold its fifth-annual Apple Festival this Saturday, Sept. 22 from 2 to 5 p.m. at the farm, located at 11640 SW Boones Ferry Road, Portland. The event includes apple tastings of the many heirloom varieties grown on the farm including Tompkins King, Spitzenberg, Liberty, Black Johnathan, Calville Blanc d'Hivre and more; apple pressing for cider, apple-themed cocktails and sharing songs to sing to apple trees. There will be face painting, music and tours of the farm, with a special emphasis on the orchard. Also included in the festivities will be an apple pie contest — be a contender! Bring your best apple pie. This is a fundraiser for TLC Farm's education programs with a suggested donation of $10 to $20, but no one will be turned away for lack of funds. There is no onsite parking. Organizers urge attendees to ride bikes, organize carpools and catch the shuttle from Riverdale High School, 9727 SW Terwilliger Blvd. At the confluence of rural farm land and native forest in an urban center, TLC Farm demonstrates how sustainable living techniques can further goals often perceived as contradictory: urban density of human habitat inside the growth boundary, combined with not only conservation of natural resources and public greenspace, but actual enhancement of native ecosystems. ¦ merge as empowered co-creators of a well-functioning network of cultures, economies and polities of deep change. It is a mostly-volunteer run organization which makes its mission to "bring people together to root into relationships with each other and the land, by sharing tools for community-based sustainability and social change, and tending resilient ecosystems." The farm is nestled into Tryon Creek State Park, a 650-acre ecosystem of towering firs, cedars and diverse Northwest forest. Just a few hundred feet from the steelhead-bearing creek lie these seven acres of rolling meadow, gardens, homes, naturally-built structures and wooded cliffs: a unique sustainability educational facility and community gathering place.